Thomas and Michael Demetrio, two experienced aviation litigation attorneys, law partners and brothers, write about the role weather can play in an airplane crash and advise personal injury lawyers on how to address and deal with weather issues in an airplane case. Read the article. Both attorneys are highly sought after lawyers in aviation cases due to their extensive experience and success. Tom acquired the largest compensatory damages settlement - $25.2 million - for the death of a passenger in the USAir jet crash outside Pittsburgh, Pennsylvania. It was the largest settlement for the death of a person in a commercial airplane crash at the time. The previous record, a $25 million settlement in a case stemming from the crash of a United Airlines jet in Sioux City, Iowa, was also acquired by the Corboy & Demetrio law firm several years before the USAir record. In many major aviation cases, Corboy & Demetrio attorneys have been appointed lead counsel by the court. Tom and Michael served as lead counsel in litigation stemming from the crash of an American Eagle plane near Morrisville, North Carolina, and as one of the lead plaintiffs’ counsel in the American Eagle crash that occurred near Roselawn, Indiana. 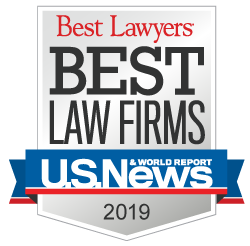 Corboy & Demetrio attorneys served as plaintiffs’ lead counsel in a consolidated case involving the crash of a USAir jet outside of Pittsburgh, Pennsylvania, in which all passengers and crew members were killed. Five of the final cases in the crash settled for over $54 million. Philip H. Corboy was appointed lead plaintiffs’ counsel for the United Airlines jet crash at Sioux City, Iowa, and the firm represented 38 passengers or their survivors in lawsuits filed as a result of the tragedy. In one of the worst aviation disaster in history, he was also appointed lead counsel for the American Airlines flight 191 crash at O’Hare International Airport where 271 people on board and two people on the ground were killed. Tom Demetrio also has experience in small aircraft crashes. He represented a widow whose husband was killed with musician Jim Croce in a private airplane crash, as well as the family of musician Stevie Ray Vaughan, who lost his life in a helicopter tragedy. Corboy & Demetrio represented families of victims in the crash of a Paris-bound TWA jet off the coast of Long Island, as well as in the crashes of an Aero-Peru flight near Lima, Peru, and an American Airlines jet near Cali, Columbia.